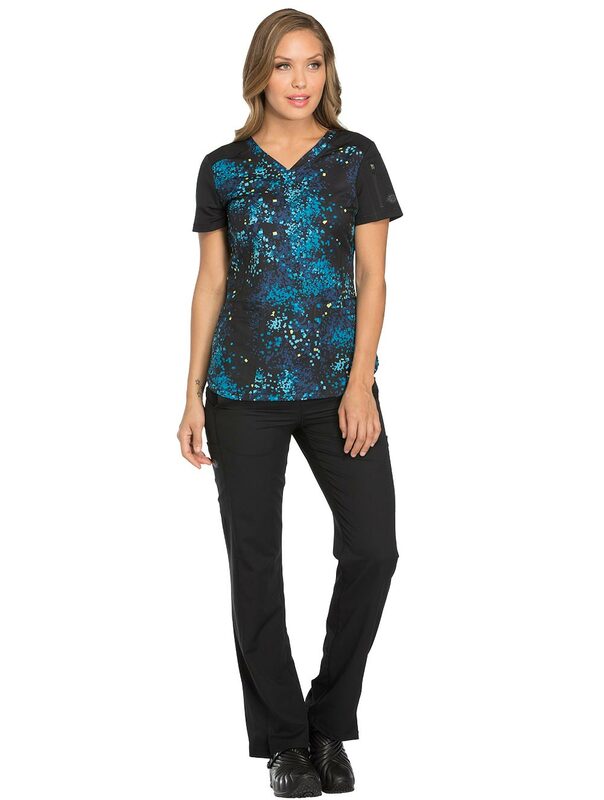 A Contemporary fit V-neck top features contrast sleeves and front and back yokes, princess line detail and rounded front patch pockets (the right with an inside tonal cable-routing outlet). Also featured are a zip-closure sleeve pocket with tonal logo heat transfer, shirttail hem, side vents and coverstitch detail throughout. Center back length: 26"